Members of Congress only need to look around the District in which they sometimes live to get a snapshot of that turmoil and struggle to which you refer. D.C. has the greatest income discrepancy of any city of its size in the country. We have the highest HIV infection rate, the shortest life expectancy, the highest adult illiteracy rate. So, we know of what we speak. But we also have a rich history of struggle, of resistance, often through poetry and the arts. Split This Rock builds on this history, on the shoulders of so many who have written and organized and built community here, from Langston Hughes and Georgia Douglas Johnson to Essex Hemphill and Gaston Neal, to name just a few of our foremothers and fathers. We celebrate this tradition and teach it to one another and to the hundreds who come here for Split This Rock Poetry Festival and our other programs from all over the country. the words fell from his mouth like drops of honey. Kathy Engel is the author, most recently, of Ruth's Skirts (IKON) and co-editor, with Kamal Boullata, of We Begin Here: Poems for Palestine and Lebanon (Interlink Books). She is an adjunct professor at New York University's Gallatin School of Individualized Study. She co-founded MADRE, Riptide Communications, East End Women in Black, Hayground School and Kickass Artists. She teaches at NYU's Tisch School for the Performing Arts and works as a consultant for social change organizations. Engel will be reading at Split This Rock Poetry Festival: Poems of Provocation & Witness, March 22-25, 2012. Join us! Carlos Andrés Gómez is an award-winning writer and performer from New York City. A former social worker and public school teacher, Gómez has performed at over 200 colleges and universities and toured across North America, Europe, the Caribbean, and Africa. 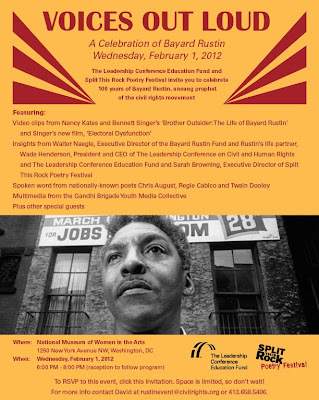 A star of Spike Lee's #1 movie "INSIDE MAN" and HBO's "RUSSEL SIMMONS PRESENTS DEF POETRY," he has been nominated for the Pushcart Prize and was named Artist of the Year at the 2009 Promoting Outstanding Writers Awards. 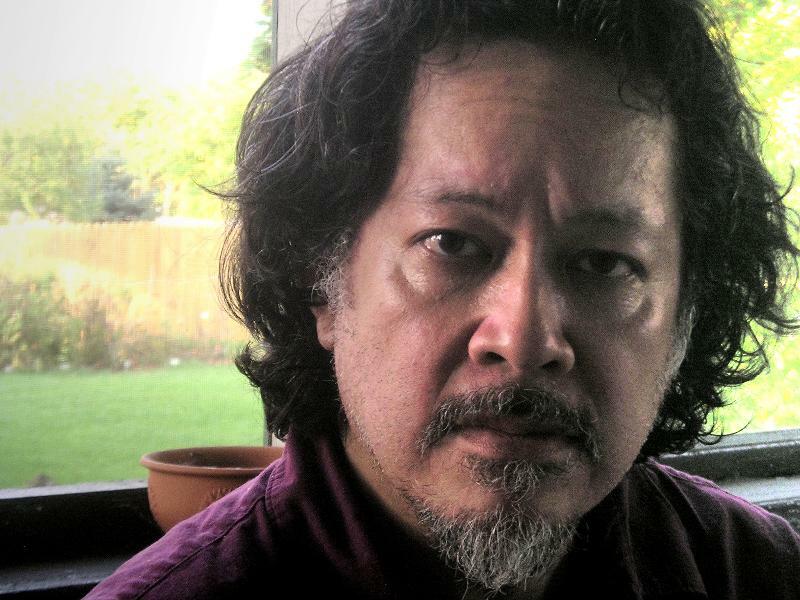 Gómez will be reading at Split This Rock Poetry Festival: Poems of Provocation & Witness, March 22-25, 2012. Join us! a uniformed woman spits Throw it away! barking, Is there something you don't understand? by a teacher who knew all the bad things you could do. firmly into a single plastic bag, he could slap you. and he no longer feels the gun in his back. Naomi Shihab Nye is the author of numerous books of poems, including Transfer (BOA Editions, 2011), You & Yours (BOA Editions, 2005), 19 Varieties of Gazelle: Poems of the Middle East (2002), Fuel (1998), and Red Suitcase (1994). Nye has received awards from the Texas Institute of Letters, the Carity Randall prize, and the International Poetry Forum. Her poems and short stories have appeared in various journals throughout North America, Europe, and the Middle and Far East. She has written books for children and edited several anthologies of prose. Shihab Nye will be reading at Split This Rock Poetry Festival: Poems of Provocation & Witness, March 22-25, 2012. Join us! Announcing the 2012 Contest Winners! 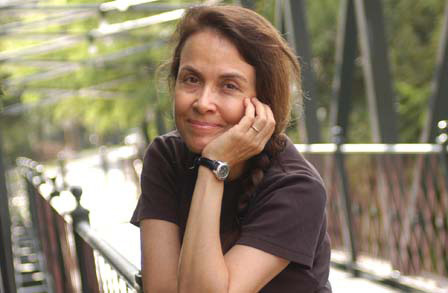 Split This Rock is thrilled to announce the winners of our fifth annual poetry contest, judged by 2012 featured poet Naomi Shihab Nye. Click on the winner's names below to read their winning poems on our website. This judge was dazzled by the subtlety and utter power of the poem "White." Worlds within and behind visible public worlds. Everything we don't see and hear—private, precious pulse of identities. Reading all the finalists' poems felt like entering a potent kingdom of Mattering—topics/subjects of essential collective care, poems embodying deep witness, speaking up in hard places, not shuddering or seeking popular favor—poems of responsibility and elegantly shaped conviction. It was a gift to read them. They are all winners. 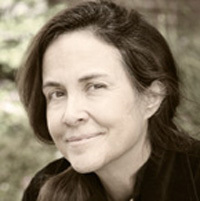 Naomi Shihab Nye will be featured at the 2012 Split This Rock Poetry Festival. She is the author and/or editor of more than 30 volumes. Her books of poetry include 19 Varieties of Gazelle: Poems of the Middle East, A Maze Me: Poems for Girls, Red Suitcase, Words Under the Words, Fuel, and You & Yours (a best-selling poetry book of 2006). She has been a Lannan Fellow, a Guggenheim Fellow, and a Witter Bynner Fellow. She has received a Lavan Award from the Academy of American Poets, the Isabella Gardner Poetry Award, the Paterson Poetry Prize, four Pushcart Prizes, and numerous honors for her children’s literature, including two Jane Addams Children’s Book Awards. 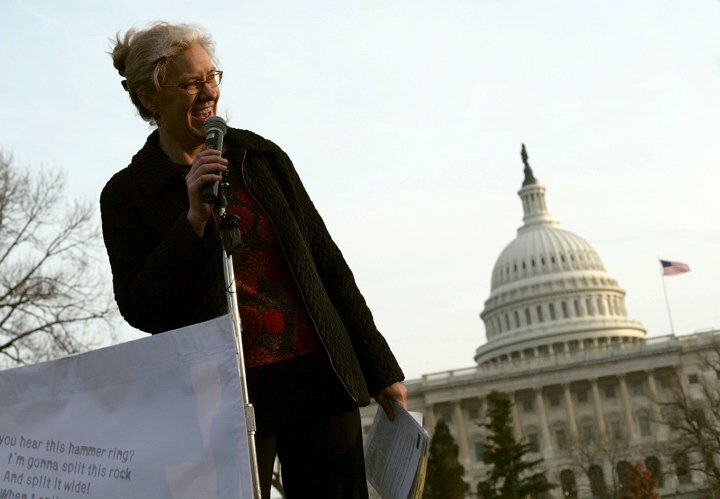 In 2010 she was elected to the Board of Chancellors of the Academy of American Poets. Leona Sevick serves as Associate Provost and faculty member in the department of English at Mount St. Mary's University in Emmitsburg, Maryland. She earned a doctorate in literature from the University of Maryland and has written extensively on the work of the writer Willa Cather. Her most recent poems appear in Memoir Journal and are forthcoming in Bateau. She writes poems and stories about growing up in an ethnically mixed family in rural America. 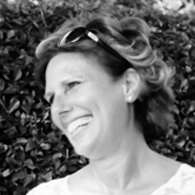 Elizabeth Hoover is a poet, critic, and journalist. Her poetry has appeared in Poetry Northwest, Hayden’s Ferry Review, Natural Bridge, and The Massachusetts, among others. In 2011, she was a resident at the Virginia Colony of the Creative Arts and a nominee for Sundress Publications Best of the Net. 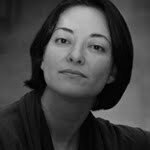 She has contributed poetry reviews and author interviews to such publications as The Paris Review, The Los Angeles Times, and The Dallas Morning News. She recently completed a biography of Suzanne Collins and is currently working on a biography of Robert Hayden. You can see more of her work at www.ehooverink.com. Kevin McLellan is the author of the chapbook Round Trip (Seven Kitchens, 2010), a collaborative series of poems with numerous women poets. He has recent or forthcoming poems in journals including: Barrow Street, Colorado Review, failbetter, Horse Less Review, Kenyon Review Online, Versal, Western Humanities Review, Witness and numerous others. Kevin lives in Cambridge MA with Frankie (a canary), and sometimes teaches poetry workshops at the University of Rhode Island in Providence. Ninety-nine poets, including 2012 festival featured poet Kathy Engel and a handful of Split This Rock friends: Francisco X. Alarcón, Scott Hightower, M.J Iuppa, and Michael Rothenberg, speak out on behalf of the 99%, encouraging their fellow citizens to join in the effort to end corporate excess and income inequality, and win back the middle-class from corporate titans and their political puppets. Co-editors Karla Linn Merrifield and Dwain Wilder have assembled the first anthology of its type in the world to inspire readers to take action on behalf of the 99%. We encourage you to check out the Liberty's Vigil blog: http://99poets.blogspot.com for the latest on the project, including readings. Liberty’s Vigil, The Occupy Anthology: 99 Poets among the 99% (128 pages) is available for $20.00 at selected bookstores nationwide – ISBN 978-0-931053-81-8 -- and from FootHills Publishing at www.foothillspublishing.com. FootHills Publishing, celebrating its 26th anniversary this year, is headquartered in Wheeler Hill, N.Y. Michael Czarnecki, publisher, is available at (607) 566-3881.
upon the verge of either idiocy or genius. because the sky is full of smoke and you are water. Jose Padua was born in Washington, DC, in 1957. His poetry and fiction have appeared in Bomb, Salon.com, Exquisite Corpse, Another Chicago Magazine, Unbearables, Crimes of the Beats, Up is Up, but So Is Down: New York's Downtown Literary Scene, 1974-1992, and many other journals and anthologies. His manuscript, Here Comes the Monster, was runner-up for the Many Mountains Moving Poetry Prize. After living in big cities like Washington and New York all his life, he now lives in the small town of Front Royal, Virginia, where he and his wife, the poet Heather Davis, write the blog Shenandoah Breakdown. Padua will be reading at Split This Rock Poetry Festival: Poems of Provocation & Witness, March 22-25, 2012. Join us! Check out the latest issue of the Beltway Poetry Quarterly, inspired by the reading "Floricanto in DC: A Multicultural Response to SB1070" at AWP 2011 - sponsored by Split This Rock, Acentos, and Poets Responding to SB 1070. With an introduction by Francisco Aragón and including work by Martín Espada, Randall Horton, Aracelis Girmay, Marilyn Nelson,Tara Betts, Regio Cabico, Sarah Browning, Luis Alberto Ambroggio, Joseph Ross, Carmen Gimenez Smith, and more! This special issue is co-sponsored by Letras Latinas, a program of the Institute for Latino Studies at the University of Notre Dame. A young man raises his hand. The invited guest tells the story of how he came to poetry. The country in question: El Salvador. The scene of this exchange: a high school in Washington, DC. Frazier O’Leary, who has taught and coached for thirty years, has gathered twenty or so of his Cardozo students, most of them natives of this small Central American nation, or the sons and daughters of Salvadoran immigrants. A few weeks earlier they had each been given The Art of Exile by William Archila—also born in El Salvador, who migrated to California in 1980 at the age of twelve. After Archila’s presentation, O’Leary’s students line up to have their books signed, chatter and visit with their new friend. That spring afternoon, in 2010, poetry became a palpable bridge. Among those who witnessed what took place in that classroom was Dan Vera, who’d graciously agreed to document the moment with his digital camera—whose poem, “If You Want To Purify America’s Textbooks of Ethnic Studies,” is one of the twenty-six poems you’ll read in this winter issue of Beltway Poetry Quarterly, an issue that aims to embody a similar bridge. Read the rest of the introduction here.